Miss Baltazar’s Laboratory is both an international network for women working creatively with technology and a local feminist hackerspace in Vienna, Austria.Miss Baltazar’s Laboratory’s goal is to encourage local and international connections among women working with creative technology. Built upon the ideology that art practice can be a critical impetus for social change, Miss Baltazar’s Laboratory tackles the universal difficulty that women frequently are a minority in both the development and application of new technologies. 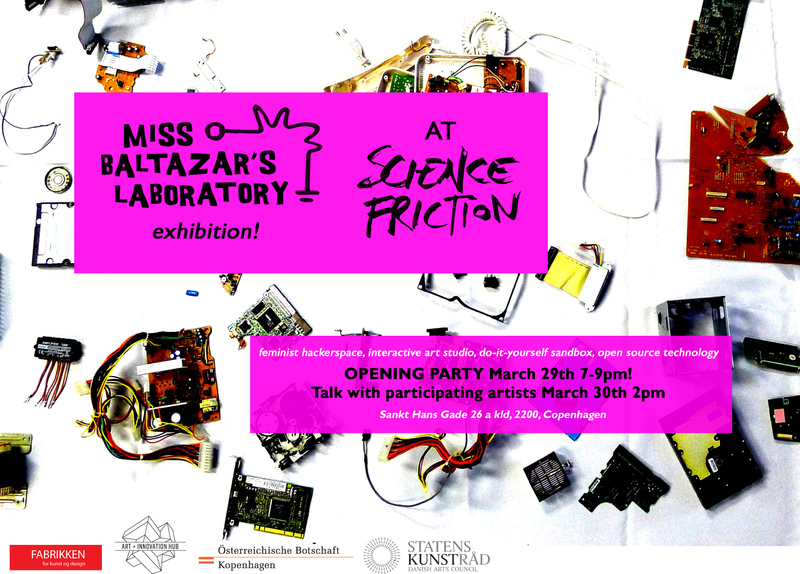 Art+Innovation Hub has invited artists behind the initiative, Stefanie Wuschitz (AT) and Lesley Flanigan (US), to Copenhagen to introduce Miss Baltazar’s Laboratory to female, Danish artists. The exhibited projects are the results of a week-long workshop process where Miss Baltazar’s Laboratory has introduced both technical and social possibilities to the participants. The projects are the outcome of a collaborative process where demystifying technology and developing a shared knowledge is as important as the individual ability to use creative technological tools. The workshop was held at the makerspace Labitat. The results from the workshop are exhibited in Science Friction, thus also connecting various spaces working creatively with technology in Copenhagen. Furthermore, the workshop has resulted in the establishment of a local unit of Miss Balthazar’s Laboratory in Copenhagen. 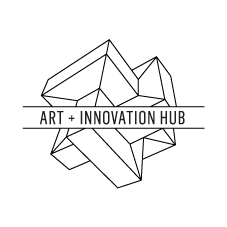 For more information about this project and its network in Cph, please visit artinnovationhub.org. You can read more about Miss Baltazar’s Laboratory by visiting mzbaltazarslaboratory.org.